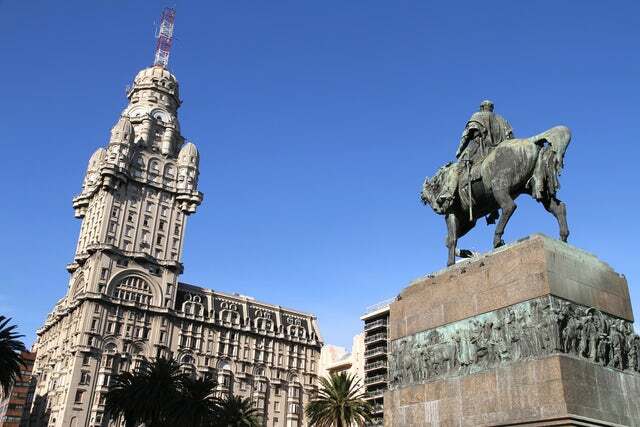 Montevideo is the capital of Uruguay and home to about 1.3 million people. The city measures 194 square kilometers by area and is the southernmost cosmopolitan city in the Americas. The city was established by a Spanish soldier in 1724 as a military maneuver against the Portuguese who were contesting the land on which the city sits. It is popular for having hosted the 1st FIFA world Cup in 1930 and was the theater of the first major naval battle during the WWII. If you are planning to visit the city, you will need to know the following things about it. 1. Climate - Montevideo has a humid subtropical weather that features cool winters, warm summers and volatile springs. Some scientists have labeled the Montevideo Climate as one that borders on Oceanic with the summer running from December to March. If you are to visit the city, this would be the time you would enjoy the most. 2. Cuisines - The center of traditional Uruguayan cuisines is located in Mercado del Puerto. Notable restaurants such as Arcadia will serve you Uruguayan delicacies such as pheasant marinated in cognac, grilled lamb glazed with mint and garlic, and duck confit on thin strudel pastry with red cabbage. 3. Getting Around - The best way to get around Montevideo is on a bus. The city boasts a bus service that covers extensively all the parts of the town. When in the city, the best place to take a bus would be the Tres Cruces Bus Terminal. 4. Shopping - Montevideo is the capital of retail in Uruguay. The first shopping mall to be built, The Montevideo Shopping Mall, was opened in 1985. Other popular shopping malls within the city include; Shopping Tres Cruces, Portones Shopping, and Punta Carretas Shopping. You can also get to sample American food at McDonalds and Burger King. 5. Beware the pickpockets - Like all cities in developing countries, Montevideo is struggling to keep the petty thieves out of the streets. The city authorities have been largely successful, but this is not to say that they have completely eradicated the vice. Make sure that wherever your bags are kept is safe and always carry your cash credit cards and passport with you. Montevideo has over the recent past seen a rapid economic growth that has seen its tourist infrastructure improve dramatically. It is one place that you would really love to spend your vacation in.